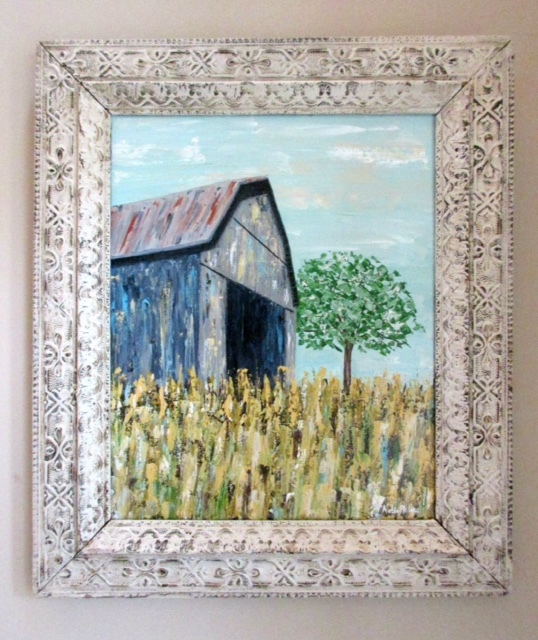 “By the Countryside” was painted using acrylic paints in an impasto method, blending together thick layers of acrylic paint on the canvas to create color combinations and texture. I absolutely love the blends of colors this effect creates! The painting was finished with a high gloss varnish to seal the painting and highlight the texture of the piece. To complete the look of the piece, I framed the painting with one of the vintage frames that I’ve collected from local antique shops (see picture here). I love this unique touch that you can’t find anywhere else. If you have any questions about this piece then please send me a message. Thanks for taking a look!